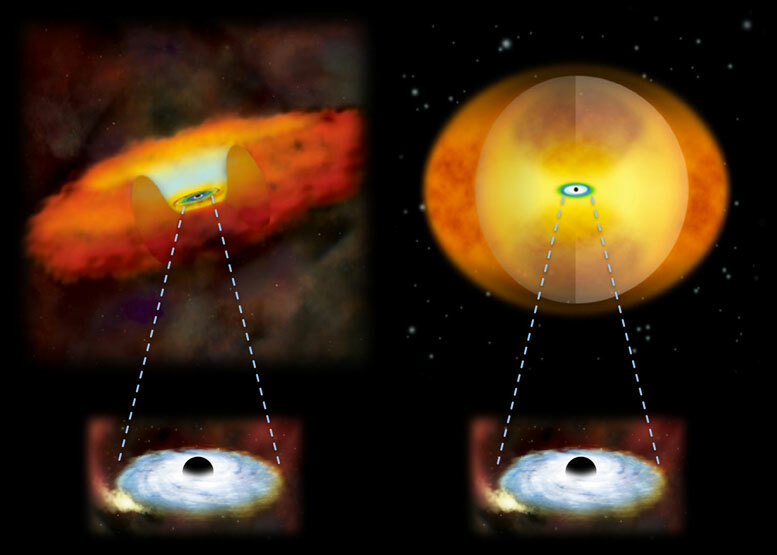 Using NASA’s NuSTAR telescope, a team of astronomers reveals that in the late stages of galaxy mergers, so much gas and dust falls toward a black hole that the extremely bright AGN is enshrouded. Researchers compared NuSTAR observations of the galaxies with data from NASA’s Swift and Chandra and ESA’s XMM-Newton observatories, which look at lower energy components of the X-ray spectrum. If high-energy X-rays are detected from a galaxy, but low-energy X-rays are not, that is a sign that an AGN is heavily obscured. 1 Comment on "NASA’s NuSTAR Telescope Shows Merging Galaxies Have Enshrouded Black Holes"
Once again you are touting “merger uber alles” pseudo-science. No one has mentioned there are a trillion objects out there. Why doesn’t anyone care where they came from? A linear process would create the mass of an average galaxy EVERY DAY for 14 billion years – and no on has yet characterized one emergent object or emergent system. You should be ashamed to print this drivel.